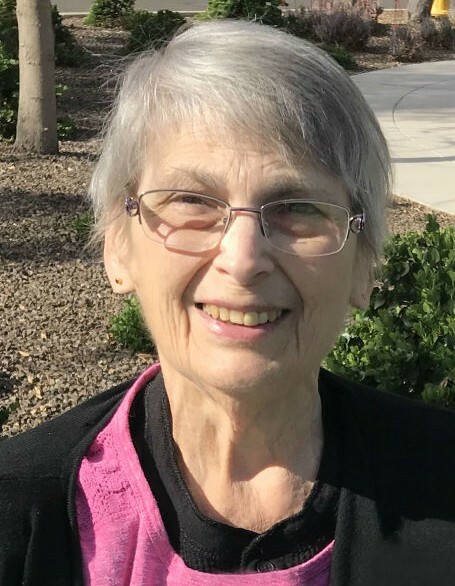 Karen Ann Froberg, age 69, of Surprise, AZ (formerly of Escanaba), passed away Sunday evening, January 13, 2019 at the Trillium House in Marquette surrounded by family. She was born on July 1, 1949 in Marquette, the daughter of Henry and Lucille (Juneau) Laundre. Karen grew up in Escanaba and graduated from Holy Name Catholic High School in 1968. Following graduation, she attended Cosmetology School and was employed as a hair dresser for many years. The former Karen Ann Laundre married Eric George Froberg, Sr. on February 19, 1977 in Escanaba and he preceded her in death on May 3, 2007. Together, the couple shared 30 years of marriage and raised 3 children. Following the death of her loving husband, Karen moved to Arizona. She enjoyed the warm weather and being able to do activities outdoors without the snow. Karen always had an open-door policy with any of her children’s friends and many would often come over to visit, eat, and help with projects around the house. While her children were growing up, she was involved with the Boy Scouts for her sons and the Brownies for her daughter. In her earlier years, she would make crafts for each holiday for all of the students in her children’s classes. Karen enjoyed crafts, cooking, camping, and especially loved being a mother and grandmother. She was able to seam dresses and frequently made lap blankets and bibs for the local hospice patients in Arizona. In her free time, Karen would drive her golf cart to the senior center and play cards with her local group of friends. She enjoyed traveling to see her sons in Green Bay and Indiana and also spending time with her grandson. For the past few years, she and her daughter would travel to various places around the west coast. On a trip to San Diego, CA, Karen was lucky enough to see a blue whale carry its calf on its back on a whale watching trip. Only 5% of the population are able to see both. Karen enjoyed making meals and teaching her daughter how to make many family recipes that will be passed down. She was a loving mother, grandmother, sister, aunt, and friend who will be deeply missed. Karen Ann Froberg is survived by sons, John (Katy) Froberg of Lafayette, IN, and Eric (Stephanie) Froberg of Green Bay, WI; daughter, Sally Froberg (fiancé Chuck Michel) of Surprise, AZ; grandson, Zachary Froberg of Lafayette, IN; and nephew, Michael Bonifas of Escanaba. In addition to her parents and husband, Karen was preceded in death by brothers, Robert Laundre, and Francis Laundre; mother and father-in-law, John and Lorraine Froberg; and sister-in-law, Kathy Froberg. Visitation will be held from 3:00 p.m. to 6:00 p.m., Thursday, January 17, 2019 at the Anderson Funeral Home in Escanaba. Funeral services celebrating the life of Karen will follow at 6:00 p.m., Thursday, in the Anderson Funeral Home Chapel with Rev. Erik Heskin officiating. A luncheon will be served at the conclusion of the services. Burial will take place in Lakeview Cemetery. In lieu of flowers, memorials may be directed to the family.